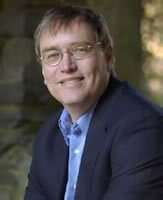 WILLIAM R. FORSTCHEN has a Ph.D. from Purdue University with specializations in Military History and the History of Technology. He is a Faculty Fellow and Professor of History at Montreat College. 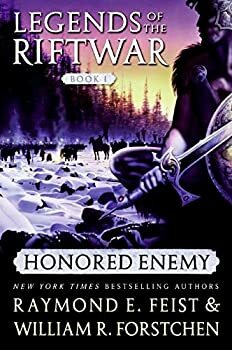 He is the author of over forty books, including the New York Times bestselling series Gettysburg and Pearl Harbor (coauthored with Newt Gingrich), as well as the award-winning young adult novel We Look Like Men of War. He has also authored numerous short stories and articles about military history and military technology. His interests include archaeological research on sites in Mongolia, and as a pilot he owns and flies an original World War II “recon bird.” Dr. Forstchen resides near Asheville, North Carolina with his teenage daughter Meghan and their small pack of golden retreivers and yellow labs. CLICK HERE FOR MORE BY WILLIAM FORSTCHEN. 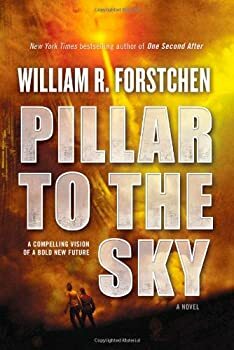 While reading William R. Forstchen’s Pillar to the Sky, I kept thinking this is what would have happened if, back in the 1960’s, NASA had commissioned Arthur C. Clarke and Robert A. Heinlein to co-write a story that would get Americans excited about space exploration... and then forgot to send it to an editor. Pillar to the Sky has an exciting premise and an appealing nostalgic feel, but it’s marred by some annoying editorial issues.